Carlene Ruesenberg, Chair of the Handbell Musicians of America Area 1, is pleased to announce that Amy Rollins has been appointed and is now serving Area 1 as its Communications Director. Working collaboratively with executive leadership, the Webmaster and Newsletter Editor, Amy will be challenged to elevate and expand communications with Area 1 handbell directors, educators, and musicians in order to increase awareness of member resources and encourage involvement in festivals, workshops, concerts and other educational and networking opportunities. Rollins graduated from Bryant College in 1988, with a bachelor of science degree in marketing. She has worked in a traditional advertising agency in Massachusetts and has directed marketing efforts for two prominent Maine businesses. Currently, she is Member Services Director for the Penobscot Bay Regional Chamber of Commerce. Amy and her husband Peter have a daughter and a son, both in college, and they live in Lincolnville, Maine. Since 2006, Amy has been ringing handbells with Choral Bells of the First Congregational Church of Camden. 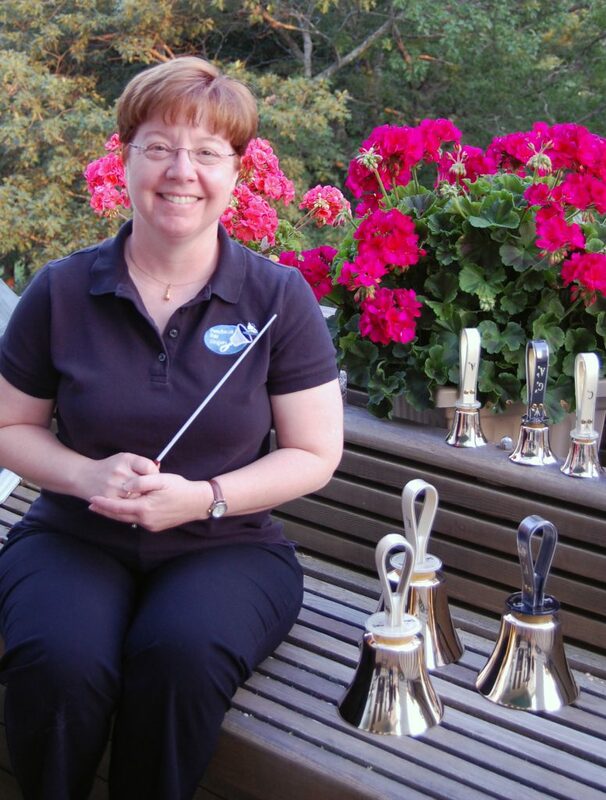 She joined Penobscot Bay Ringers in its inaugural year of 2008 and currently serves as Artistic Director and Treasurer for the community handbell organization. She serves on the biennial Maine Spring Ring steering committee and regularly attends events sponsored by Handbell Musicians of America. “I am proud to be an Area 1 handbell ringer and director, and I am enthusiastic about sharing our rich history and future endeavors with current members, prospective members, and the next generation of handbell musicians,” said Rollins.